After the eating endurance event known as a southern Italian holiday season, we’re tightening our belts. Or at least we’re making an effort in hopes of tightening them. Pasta al forno, that decadent layered masterpiece of the Christmas table here, has been banished from ours. Likewise the zampone, a pig’s trotter stuffed with, yes, more pork, is off the list. And the pettole? 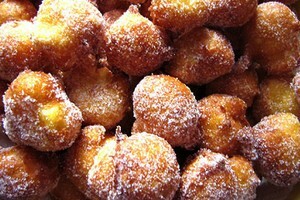 Those deep-fried puffs of yeasty dough immersed in vanilla-scented sugar are now just a guilt-tinged memory. But if you think we’re resigned to insipid plates of sad, boiled vegetables, you are dead wrong. We’ve embraced a world of flavor with the bounty of Puglia’s winter vegetable, fruit, grain, nut, seed and legume harvest. And Puglia’s seafood and farm players still figure in the equation, playing a supporting role to great effect. On New Year’s Day, we awakened to silence . . . and a whole lot of gorgeous, fluffy white snow. Yes, that’s our little car, which resembles a snowbank. Like holidays everywhere, the social pace quickened here last month, culminating in back-to-back holiday meals. Not wanting to miss a moment of it, we accepted every invitation that came our way, reciprocating with friends at our house. When we experienced an unexpected two foot snowfall on New Year’s Eve, our home-bound existence meant that there was little more to do than eat—and eat well—as fortification against the cold. On the eve of the snowstorm, the scene in the small, neighborhood food shop around the corner from our house recalled old movies of wartime rationing. 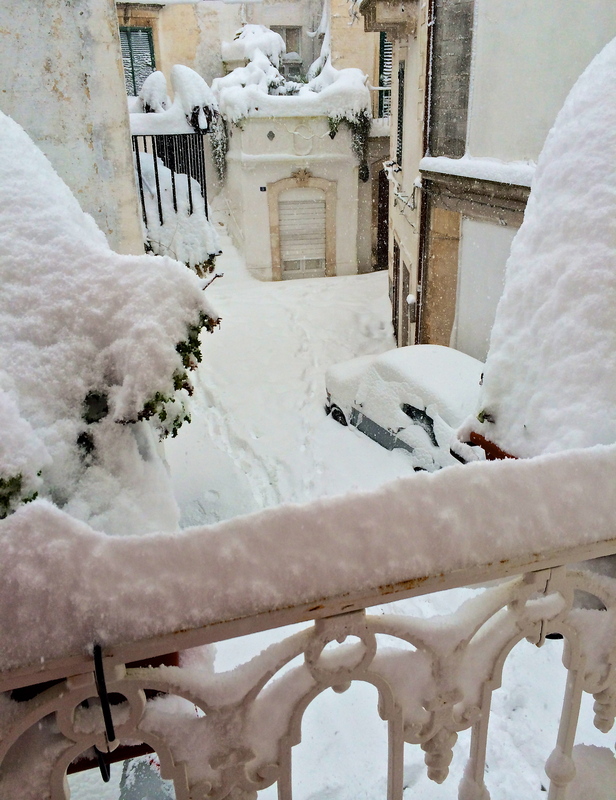 Everyone who could make the trek through the ice and snow loaded up with flour and yeast for homemade bread (the bakeries were closed); meat, eggs and cheese (to ensure protein stores were topped up); pasta (because pasta!) and taralli (much-loved Pugliese ring-shaped crackers). Southern Italians faced with a shortage of food are a formidable sight to behold; we were clearly novices in the art of stocking up. Wild chicory foraged from some nearby fields. 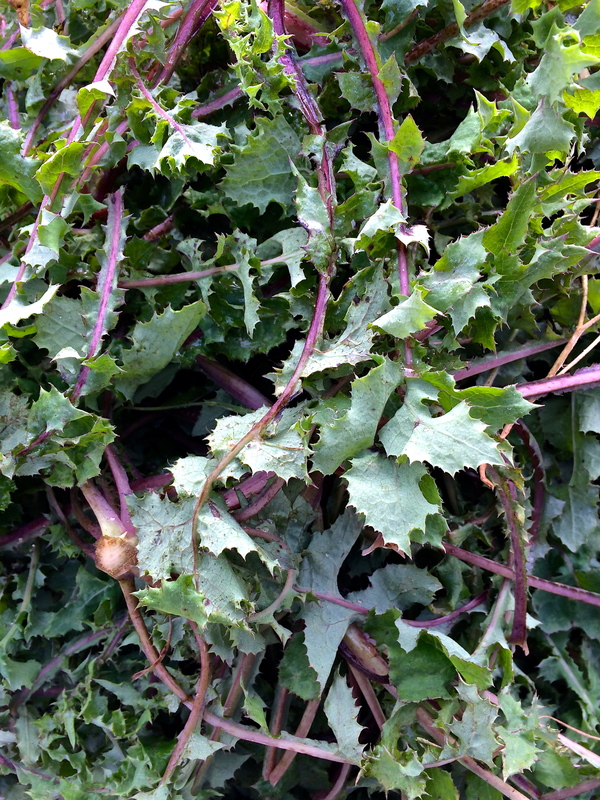 In the U.S.. substitute dandelion greens (yes, the ones that get excised from your lawn as weeds) or any of the kale varieties you can find. Now the skies are cobalt blue and the sun is shining brightly, so there is no excuse to hoard food or avoid restorative exercise outside. There’s also no getting around the need to edit our daily intake. Far from deprivation, though, we’re turning to the Mediterranean Diet—the traditional one—for inspiration. We’ve challenged ourselves to eat at least 9-12 servings of fruits and vegetables a day, with small quantities of whole grains, nuts and seeds and just enough protein in the form of fish, eggs and some occasional meat. That’s it, and that’s everything, because we’re spoiled for choice here. This plan is the essence of benessere—well-being—and we’re embracing the concept with vigor. Castellucio lentils are tiny, but they’re packed with great flavor and retain their shape well, making them a great choice for room temperature salads. Today’s lunch, though not Pugliese at all, reflects the sensibility of the local larder. This salad is as simple as it can be, but offers enough color, texture and flavor contrast to engage the most jaded palate. It’s as easy to make on the spot as it is to prepare in advance for a work lunch or an easy weeknight dinner. You can serve the salmon for one meal, but make extra for the salad; do the same with the lentils, throwing some of them into a soup and reserving the rest for use in this recipe. 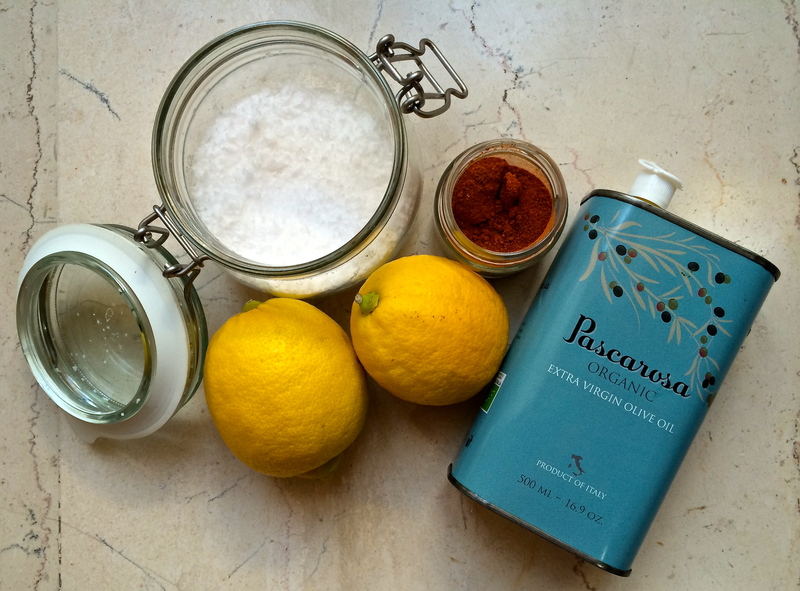 Look for recipes that feature nutrition-rich ingredients on our Pascarosa website. We’ll keep you posted on our progress, offering some ideas to incorporate as many seasonal vegetables as you can in an effort to increase fiber, vitamin and mineral intake while satisfying your need for delicious, uncomplicated meals you can put together quickly with easy-to-find ingredients. Share your ideas, too. We’ll post them on our Pascarosa Pinterest board and share them on Pascarosa’s Facebook page. Here’s to your post-holiday rejuvenation—send good thoughts our way. 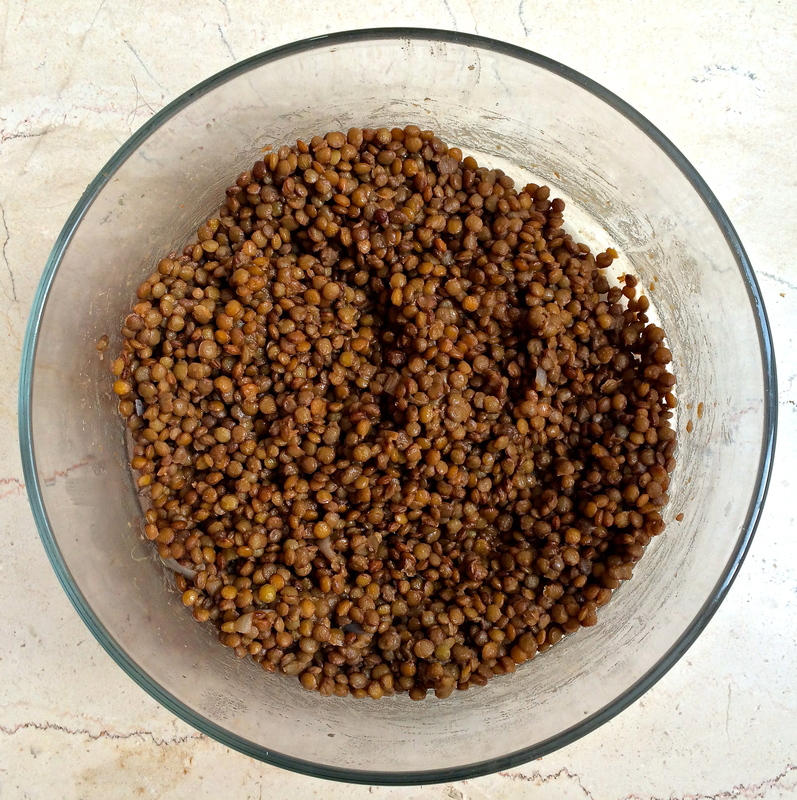 Cooked and drained lentils are tossed with half of the salad’s vinaigrette while still hot, then left to cool to room temperature before composing the salad. Place the lentils, onion, carrot, bay leaf, bruised garlic clove, lemon thyme and salt in a medium saucepan and cover with water. Cover the saucepan, bring the lentils to a boil over medium-high heat, then reduce the temperature to maintain a steady simmer. Cook the lentils for 20-30 minutes, but be sure to taste them frequently. They should be tender, but certainly not mushy. 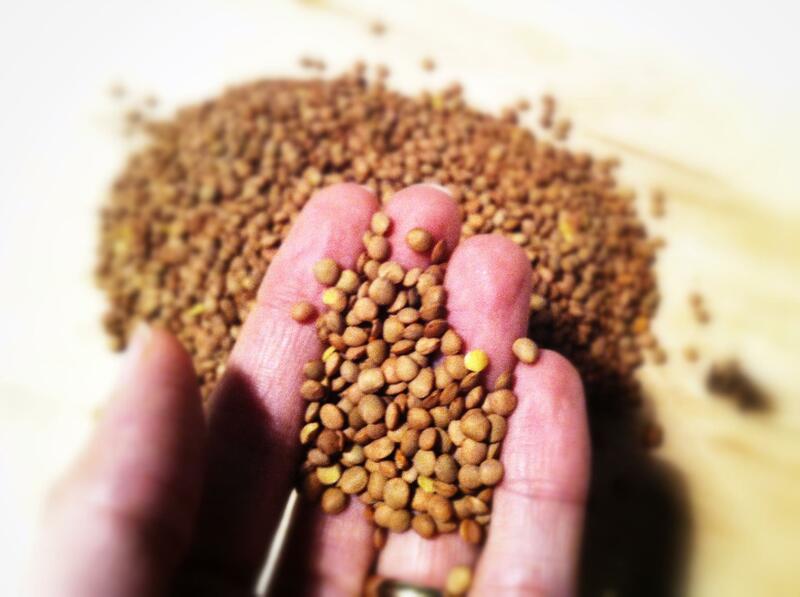 Cooking time depends on the freshness of your lentils, their size, etc., so watch them accordingly. When cooked, drain the lentils well in a sieve, then pour them into a bowl. Toss the lentils with half of the vinaigrette (see method for vinaigrette). Allow to cool to room temperature, then remove the onion, carrot, bay leaf, garlic clove and lemon thyme, if using. After you’ve poached or seared salmon filets or steaks, allow them to cool, then flake them. Set aside until ready to assemble the salad. If you don’t have any leftover salmon or don’t want to use canned salmon, poach the salmon filets or steaks. Alternatively, sprinkle the filets or steak with sea salt and sear them in a non-stick skillet that has been drizzled with olive oil. Set aside. When cool enough to handle, flake the salmon. 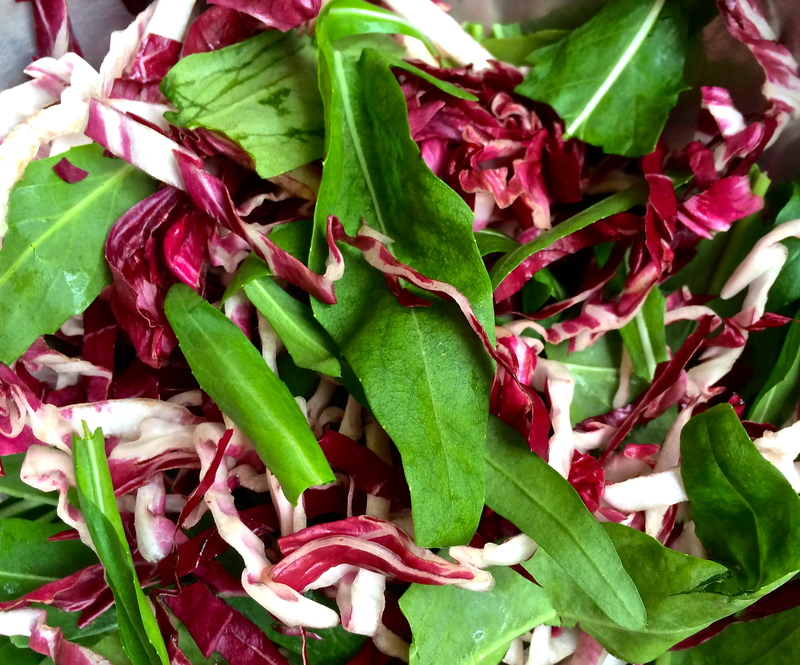 The vibrant colors of arugula and radicchio make this composed salad incredibly appealing, especially in the winter. Wash the arugula leaves and dry them well. Remove the radicchio core and thinly slice the radicchio crosswise into a chiffonade. Toss the arugula and radicchio together in an bowl with the remaining half of the vinaigrette. Assemble the salad by dividing the arugula and radicchio onto four plates, spreading the salad to the edge of the plate. Divide the room temperature lentils into four servings and place on top of the lentils leaving a 1 to 1 ½-inch rim of salad exposed. 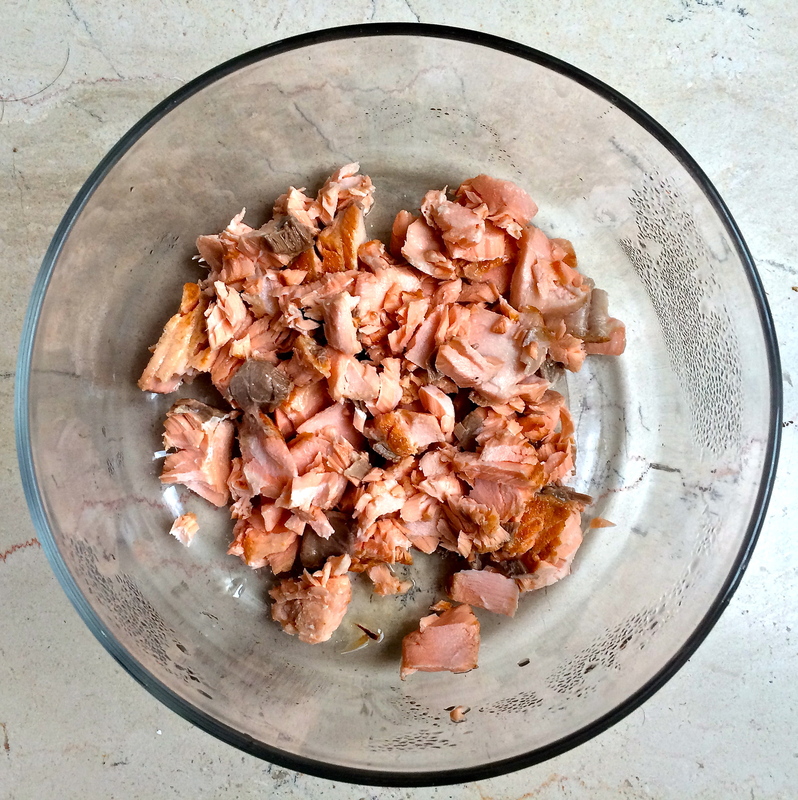 Divide the salmon (without the skin) into four portions. Place the salmon flakes on top of the lentils, leaving a border the way you did with the lentils. 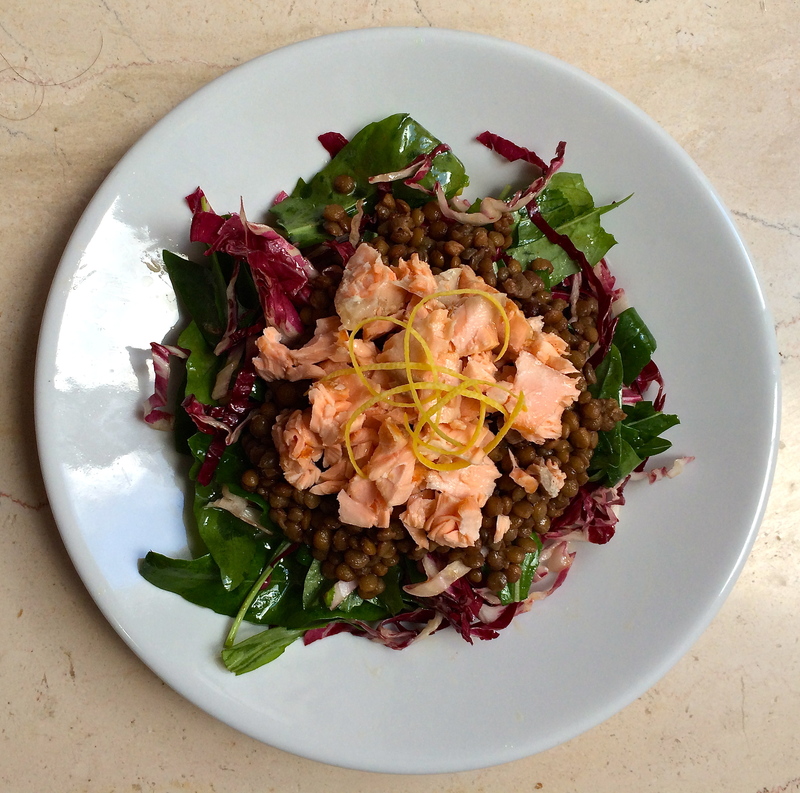 Serve this salad preplated, with the salmon on the top, lentils in the middle and the greens on the bottom. Garnish the salad with a few thin strips of lemon zest and serve. All you need (except the shallots) to make the vinaigrette that accompanies the Lentil and Salmon Salad. Mix the lemon juice, minced shallot, salt and smoked paprika in a small bowl or a jar. Allow the flavors to develop for 15-30 minutes. Add the extra virgin olive oil, whisking vigorously if using a bowl or shaking if using a jar.